When I meet with recruiters to discuss what attributes I want in a candidate, they’re often expecting to here “Java, C++, .NET” or others technical acronyms. I tend to focus on a few key non-technical traits. I want candidates with character and passion. Those terms can easily be misinterpreted, but are crystal clear in my mind. I want someone that cares about what they do and doesn’t want a job just to pay the bills. This is what I mean when I say passion. They do not need to be loud or energetic. Quiet passion is very effective and I see it every day from some very smart people. Character is a very broad term, but I’m generally focusing on reliability, honesty, and integrity. Because these terms can be interpreted many different ways, I’ve put together a list more specific attributes that more clearly define what I mean and this list starts with a conscientious and proactive personality. In reading Organizational Behavior by Kreitner for my MBA Organizational Behavior class, I stumbled upon another valuable perspective of the major dimensions of personality, which are extraversion, agreeableness, conscientiousness, emotional stability, and openness to experience. Like Myers-Briggs, Emergenetics, and other personality type paradigms, the five dimensions are useful for understanding and relating to those around you. The most significant predictor of positive job performance of the five dimensions is conscientiousness. 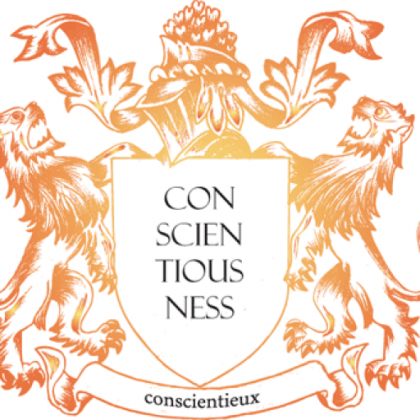 There are many facets to conscientious behavior. Self-discipline, purpose, and persistence are just a few of the attributes that describe conscientious behavior. When reading about conscientiousness in more detail, you realize something: These are the people you want on your team. At work people either: (A) get things done or (B) wait for someone else to get them done. People in group A are strong performers. I don’t want to hire group B. I want people from group A, who are chock-full of conscientiousness and proactivity. In the textbook mentioned above the proactive personality is defined as “someone who is relatively unconstrained by situational forces and who effects environmental change” by researches Thomas Bateman and J Michael Grant. They further explain that “proactive people identify opportunities and act on them, show initiative, take action, and persevere until meaningful change occurs.” Proactive people have an internal locus of control meaning that they believe they control the events and consequences the affect their life. People with an external locus tend to blame environmental factors outside their control for outcomes in their lives. 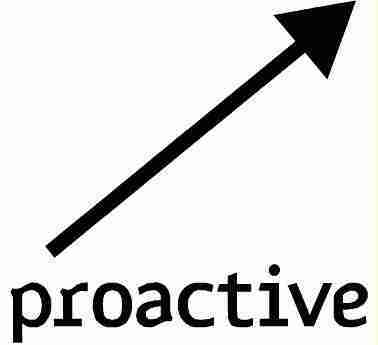 Who do you want on your team: proactive people with an internal locus or “woe is me” people external locus? It’s clear to me just from reading the words describing conscientiousness and proactivity that these are the key traits that I want anyone on my team to have. Every organization values specific behaviors differently depending on the requirements of their industry and their own desired company culture, however, I can’t think of one business, successful or not, that couldn’t use more employees with these traits. When you’re interviewing for your next teammate, put conscientiousness and proactivity on the top of your list and don’t ever compromise on finding people with them. You’ll be glad you didn’t and so will everyone else on your team.